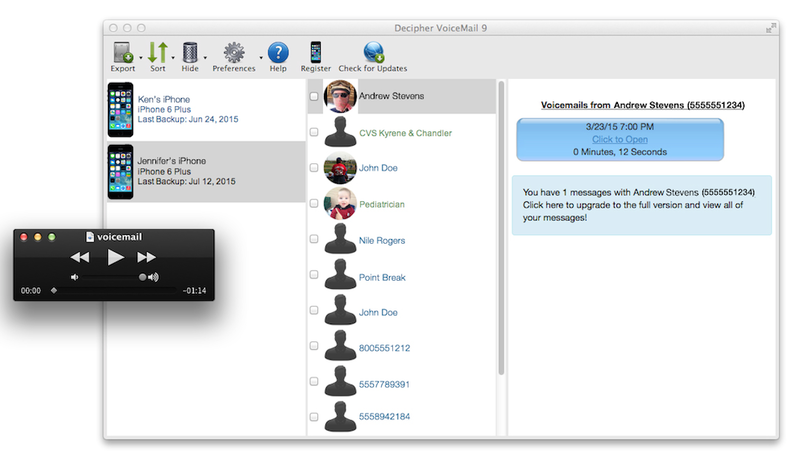 Decipher VoiceMail runs on your computer and NOT directly on your iPhone, iPad, or iPod. Tap the free trial button above to send yourself a download link for Mac and Windows. Step 1: Purchase Decipher VoiceMail, or download the free trial to your computer. Step 3: Run Decipher VoiceMail. 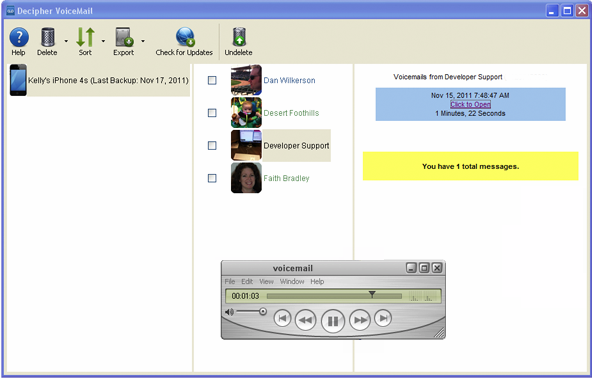 Your iPhone voicemail messages are now saved to your computer! Help! How do I get the Decipher VoiceMail App? 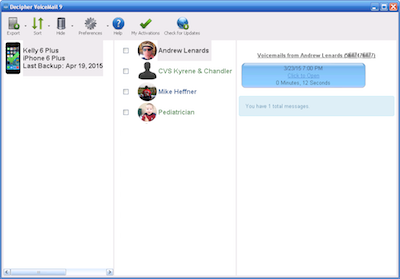 You install Decipher VoiceMail directly onto your computer. Click here to remind yourself to install the software later! 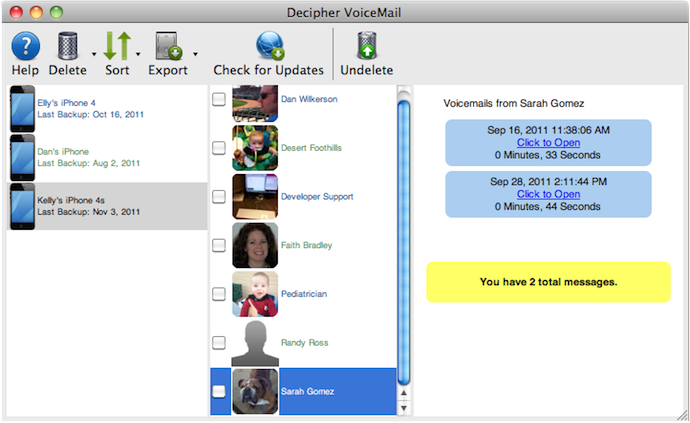 I just purchased Decipher VoiceMail. How do I install it? As part of your purchase, you were emailed a link to download Decipher VoiceMail. Open that email on your Mac or PC and install the software onto your desktop or laptop computer. You can also download the program onto your computer from our website at any time. Quickly load messages from your iTunes backup. 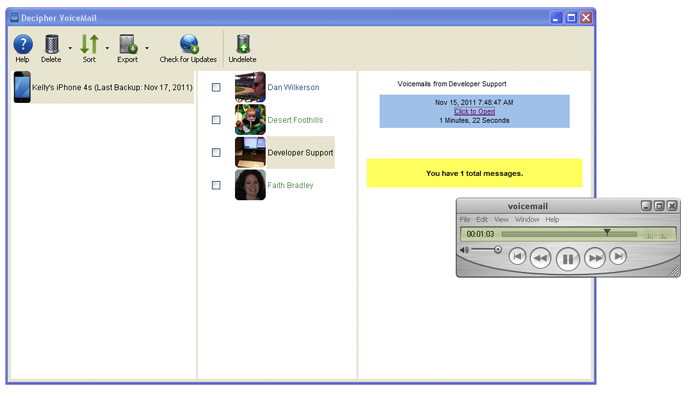 Listen to messages as MP3 or AMR files from Decipher VoiceMail, or Export messages as MP3 or AMR for emailing or other uses. Easily see messages by names in your iPhone contacts. 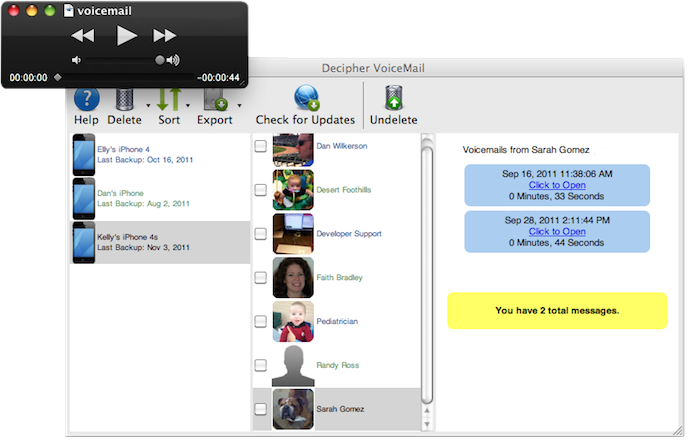 Click here to see the Decipher VoiceMail FAQ page. 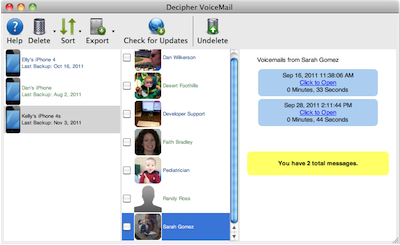 Click here to see the latest Decipher VoiceMail release notes. 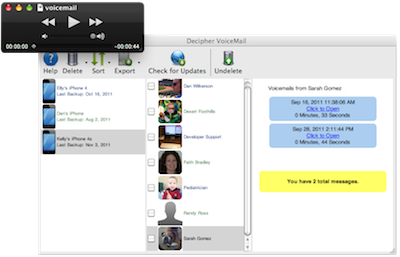 Decipher Voicemail is software specifically designed to save iPhone voicemail messages to your computer. Each voicemail audio file is automatically transferred from your iPhone backups to Decipher VoiceMail and displayed in an easy-to-read layout. 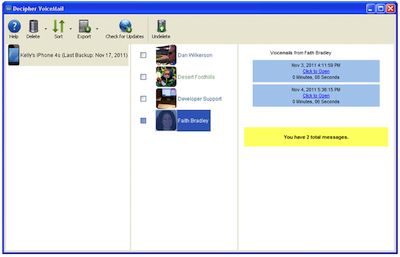 Voice messages are backed up, so you can keep an archive of your voice mailbox for future use. 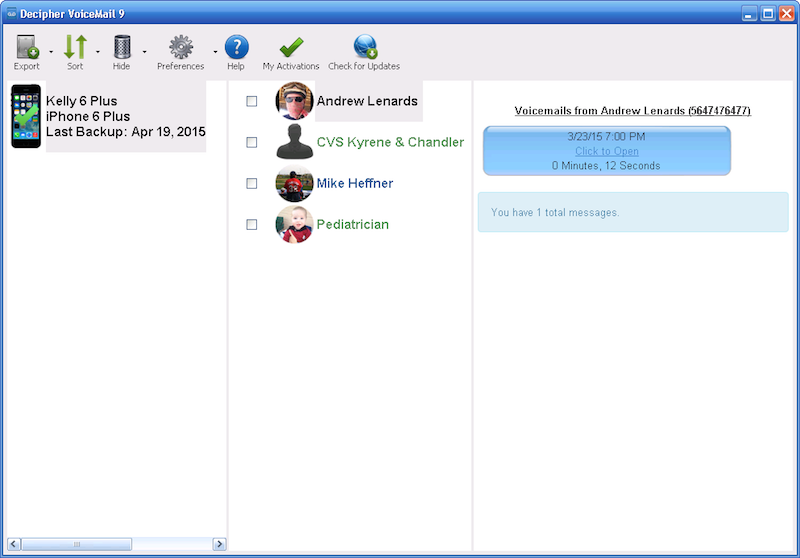 Also, Decipher VoiceMail runs completely on your computer, so your voicemail remains private.